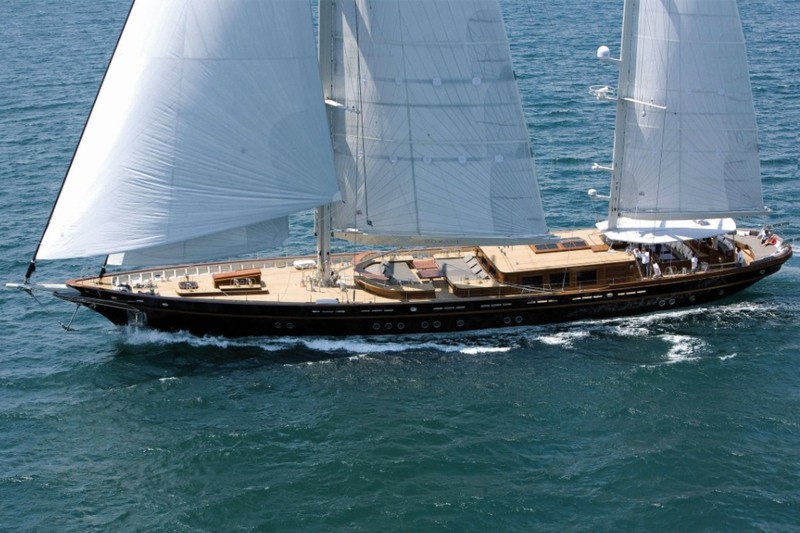 This Su Marine 46m classic sailing yacht is ideal for a yacht charter on the French Riviera. 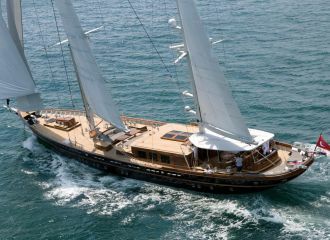 The yacht offers the perfect mix between a traditional wooden sailing yacht and the latest technologies one can expect on any modern yacht. 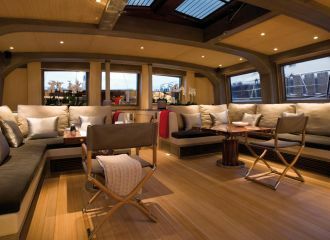 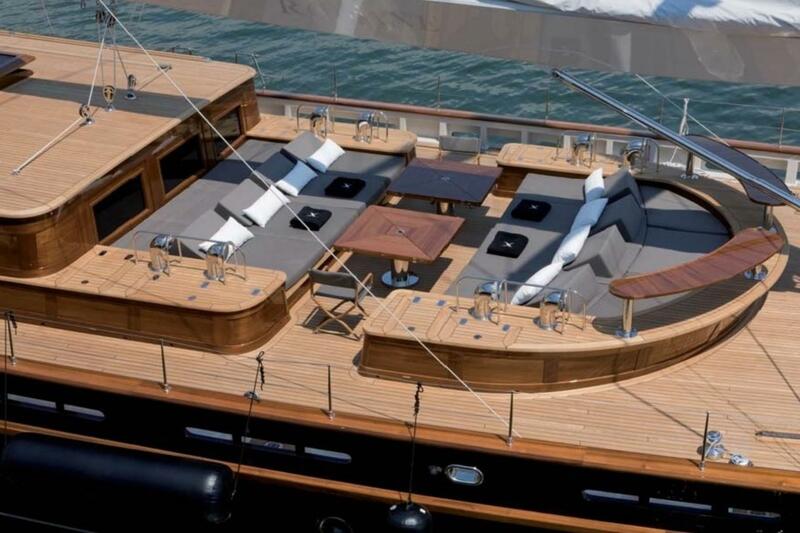 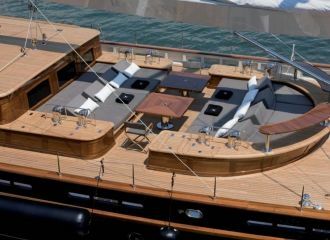 She boasts a generous deck space including a large table seating up to 10 guests on the aft deck and a forward sunbathing area. 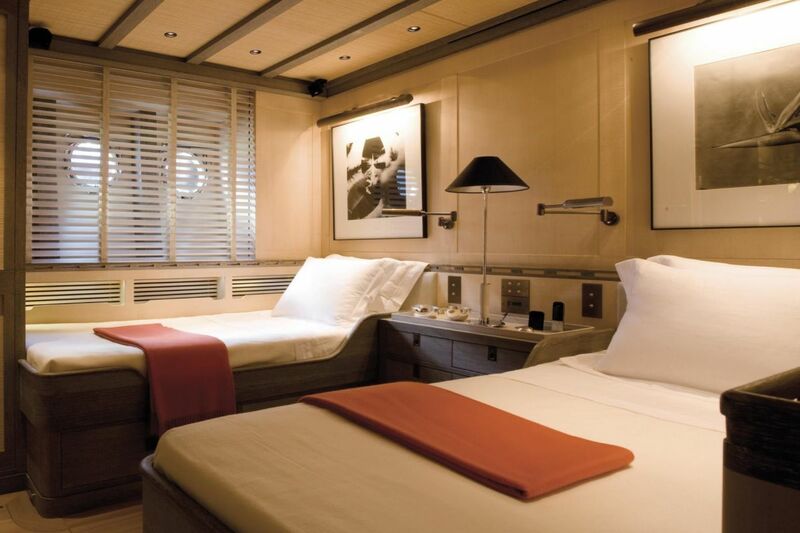 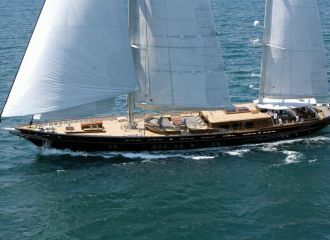 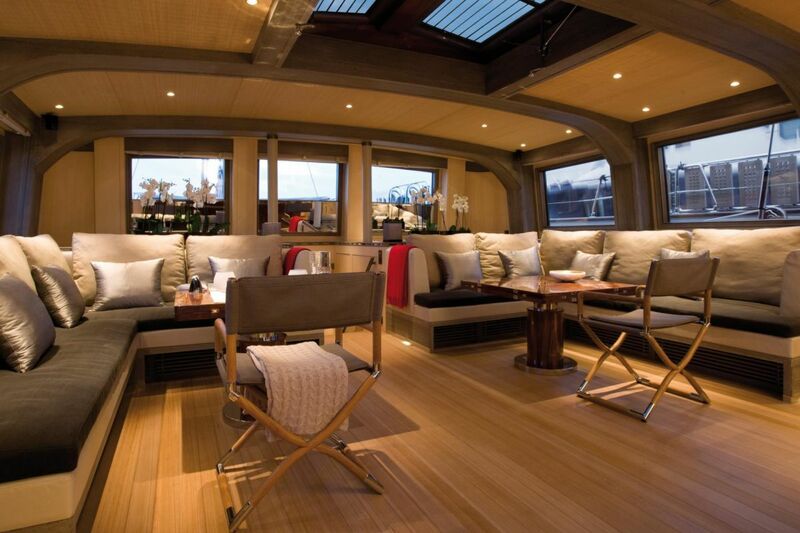 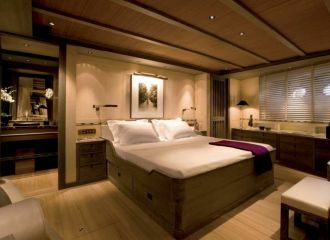 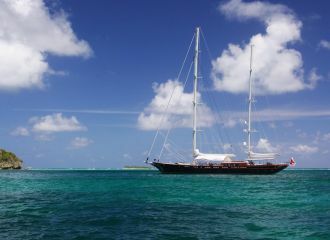 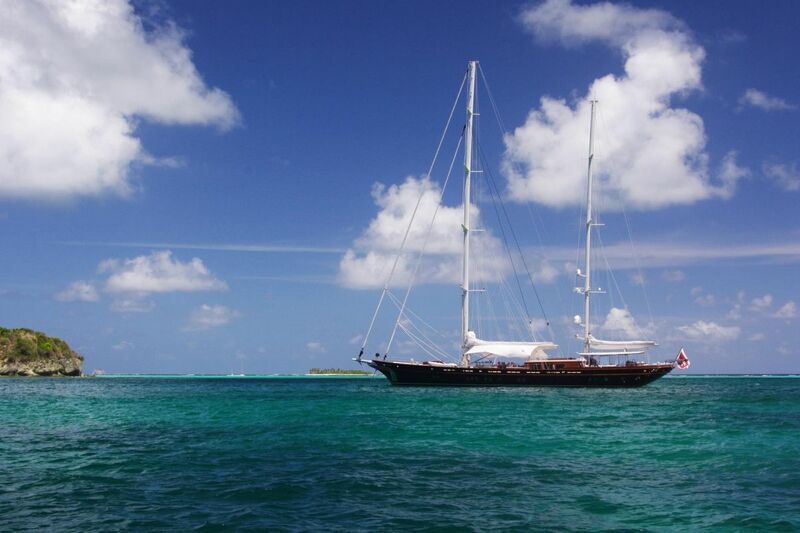 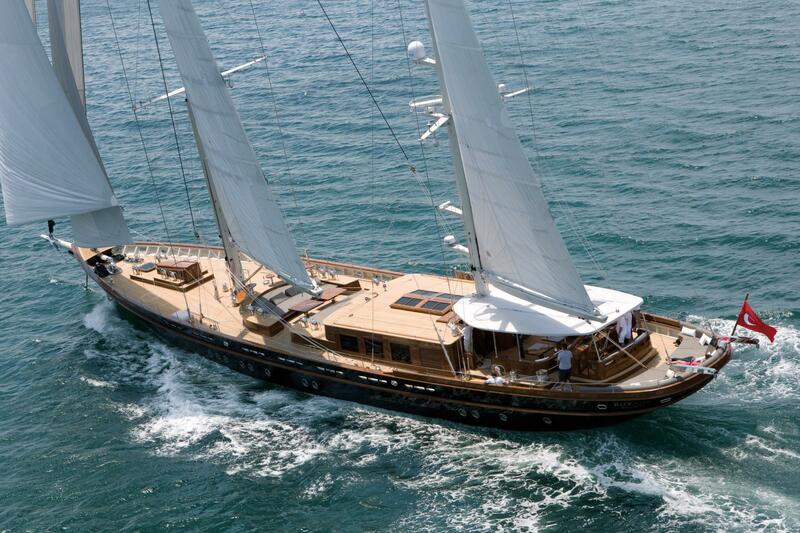 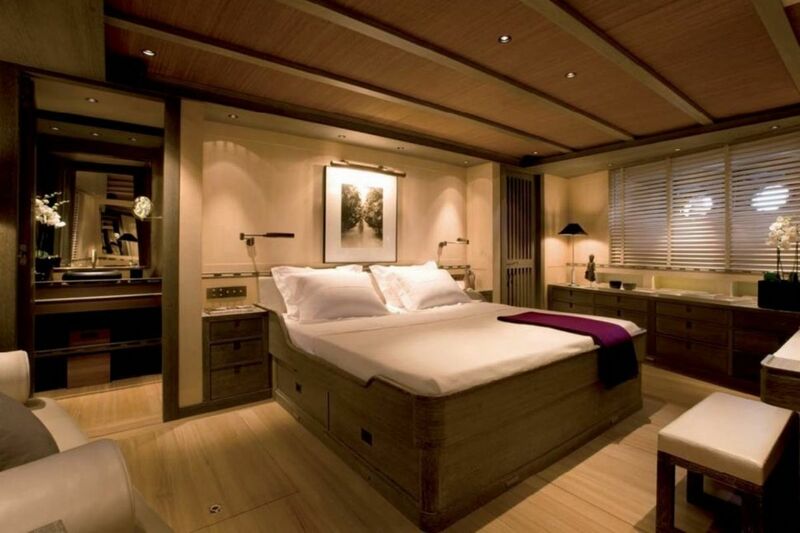 This Su Marine 46m sailing yacht features accommodation for up to 8 guests in 4 cabins: 3 double and 1 twin. 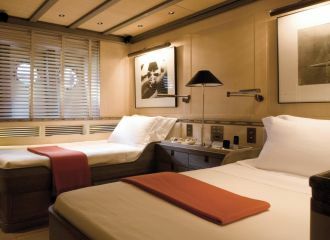 There is room for an extra guest as one of the doubles comes with a Pullman berth.